Episode 3 of the Yolk with Doak goes into detail on Waialae Country Club, The Sony Open and Seth Raynor. To help listeners envision the course here is a synopsis on Waialae and some of the holes discussed on the podcast. Special thanks to Scott Griffith @bottomgrove for helping put this together. Waialae Country Club was designed by Seth Raynor and was one of his last designs. The course opened after his death (1926) in February of 1927. The course was built as a hotel (resort) and featured many of the famed template holes that Raynor and C.B. Macdonald used. Raynor's Original Plan for Waialae. Last week, Golf Course Historian and Executive Director of the Seth Raynor Society Anthony Pioppi uncovered an article in which Seth Raynor details his Waialae design. 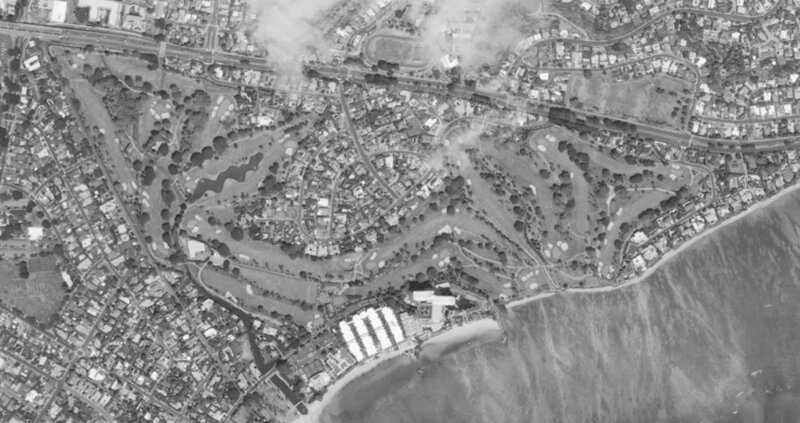 Here's an aerial photograph of Waialae from 1929 that hangs in the Waialae Clubhouse. 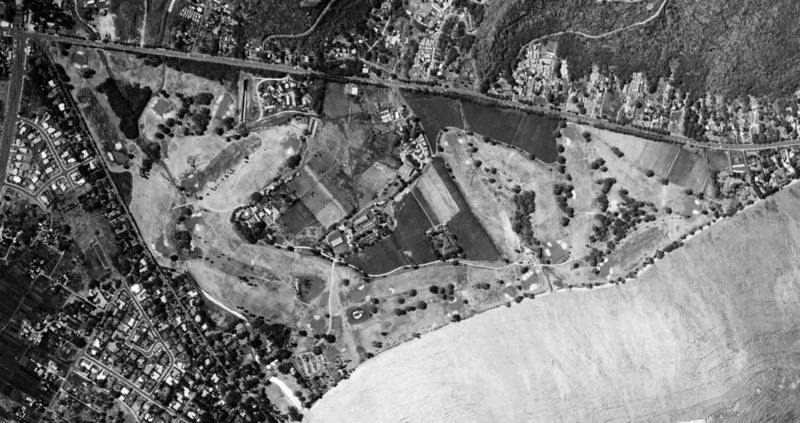 Here's a 1952 aerial of Waialae that shows the entire golf course before the construction of the Kahala Hotel. Thanks to Scott Griffith's skills here's a look at how the course changed from the construction of the hotel. This is a comparison of the 1952 and 1966 aerial. Here's a comparison of the course from 1952 to 2016. Also, here are some ground photos from Zac Blair that showcase the different holes that Tom discusses in detail. Enjoy the podcast and the tournament this week at the Seth Raynor designed Waialae Country Club.